The Lepow Convertible Hi Smart Bag: Who’s Calling, Please? 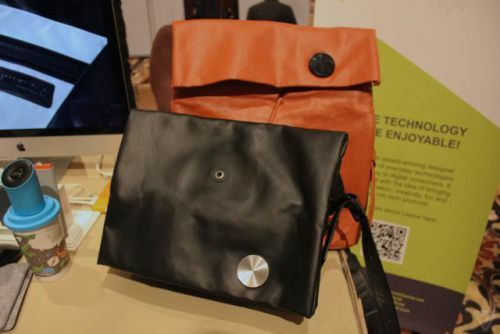 Unveiled at the Pepcom Digital Experience at the Consumer Electronics Show in Las Vegas, the HiSmart Bag is the latest from Lepow, a Hong Kong-based company founded in 2011 with an ongoing mission to constantly delight and amaze modern consumers. There is always a sense of play infused in their digital products, which fuse elements of architectural design with stylish colors, superior materials and functionality. Lepow earned a Red Dot award for outstanding industrial design and the iLounge Product of the Year 2014 award. Lepow boasts that the HiSmart Bag is the first convertible messenger-backpack in the world to blend form, function and technology. The bag has a compartment for any modern device under the sun, far beyond the scope of conventional storage for keys, wallet, smartphone and laptop. According to Julianna He, chief operating officer of Lepow: "Our lifestyles have gone digital, but bag design essentially hasn't changed for decades. The HiSmart Bag is the next step in wearables and will be the first to turn what we think of as a 'dumb' or 'pure fashion' object on its head." 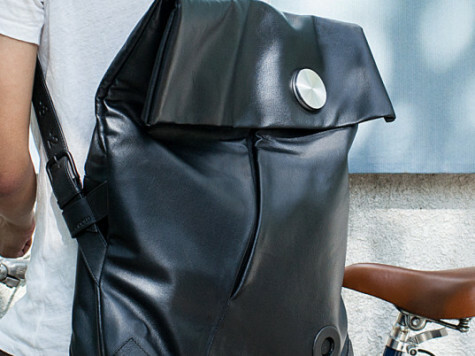 This convertible messenger /backpack is wired for the unexpected and in its own way is a portable office/secretary. By plugging the headphones into the included jack located on the shoulder strap, any wandering traveler can answer calls hands-free and without having to dig for the phone in the bag (which according to Murphy's Law, is always in the furthest corner of the bag no matter at which point the search is initiated). In case of distractions, the bag will even vibrate as a reminder that the phone is ringing for you and your gal, guy or whatever. The HiSmart Bag is specially equipped with Global Positioning System tracking, text and call notification, Bluetooth-enabled music playback and volume control. The suberb trinity of its fabrication includes high quality waterproof canvas, German hardware (the Fidlock which can be opened and closed by a half-twist of itd metallic knob) and Italian leather. Jackie Fan, Lepow's chief executive officer states: "2015 will mark another year of our increasing reliance on smart devices to carry out day-to-day activities such as for entertainment and for connecting with work, friends and family... Lepow is excited to introduce creative and beautifully designed products that help our customers become more organized, be more engaged and multi-task better as they embrace life on the go." Available in black and brown, pre-orders for this amazing backpack will be taken in March when the bag will make its official debut on the most popular crowd-funding platform, IndieGoGo. The new HiSmart Bag with its innovative design fuses beautifully with futuristic minimalism. Perhaps not yet an art genre, this unusual combination of elements does apply to Lepow and the company's amazing fashion accessory conceptions and designs.